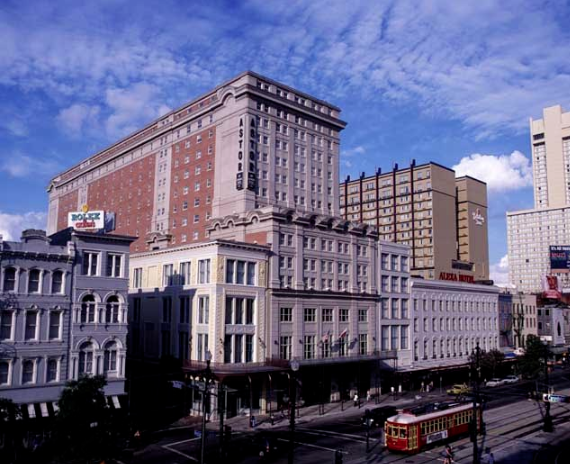 The 2019 Symposium will take place at the Astor Crowne Plaza – New Orleans French Quarter. Where Canal Street meets Bourbon Street, the newly renovated Astor Crowne Plaza provides luxury accommodations amid the beating heart of the legendary French Quarter. Discover a rich diversity of elegant comforts and conveniences, including free Wi-Fi in sleeping rooms, flat screen HD TVs, an acclaimed on-site restaurant and state-of-the-art fitness facility. Just outside, you’ll enjoy a whirlwind of enchanting festivals, theater, music, cultural exhibits and culinary delights. The hotel reservation site will be available when registration opens in June. The special conference rate for NSSR guests is $158 per night, plus tax. This rate is also applicable three days before and after the conference, subject to availability. Your support in staying at the Astor Crowne Plaza helps keep the conference costs down. We have contracted for the best possible room rates and are required to guarantee a predetermined number of sleeping rooms. If we do not meet the contracted room block, the hotel can charge an attrition fee, which will result in higher registration fees at future conferences. Therefore, we encourage you to book your room through our block at the conference hotel. ALERT: If you are contacted by any agency offering you a lower room rate than the one listed above, or offering to make your reservations for you, it may be a scam. Please note that NSSR has not authorized any such offers. Hotel reservations should only be made using the link or phone number we will provide when registration opens in June.